We love to party! Awww...and the matching costumes to boot...Daebak! (See my tab dedicated to parties. 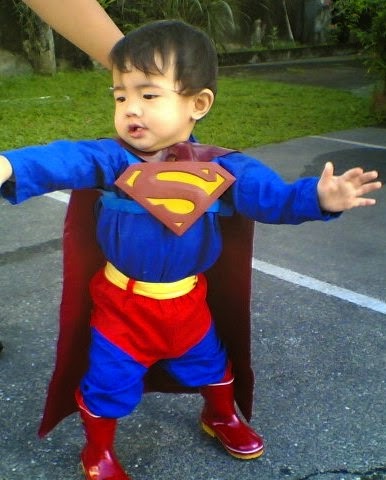 ^_^) Look, our little Superman is so adorable! For his first birthday party, we did a Justice League Theme. I remember how it was a bit difficult back then, because it's so hard to get matching stuff here. I remember feeling broke heart broken, because I was unsuccessful shopping in Divisoria, so we got most of the goodies from the US. 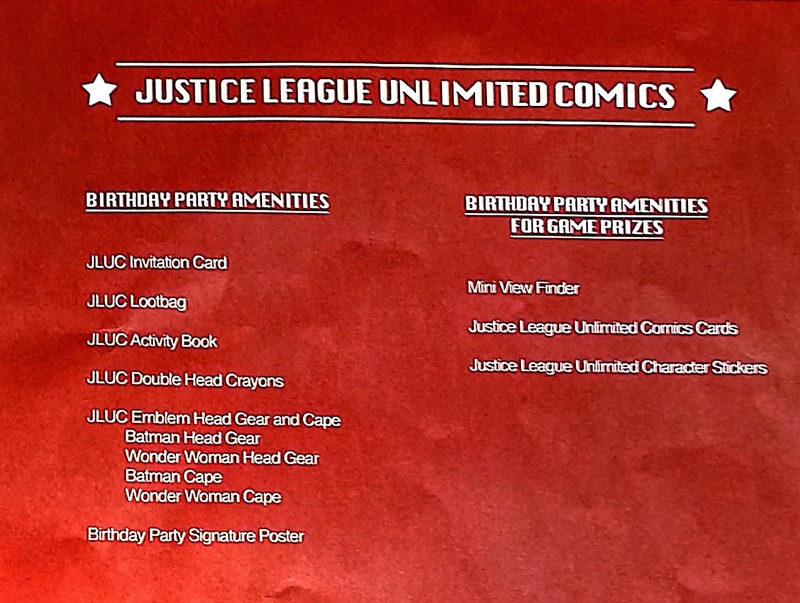 A couple of months later and to date, Justice League goodies are available here and there. 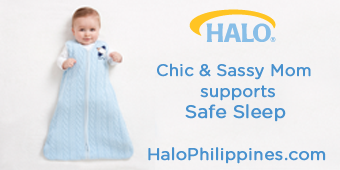 Plus, Shakey's started featuring it too. Yay! Good times, great memories with Shakey's Super Celebration! 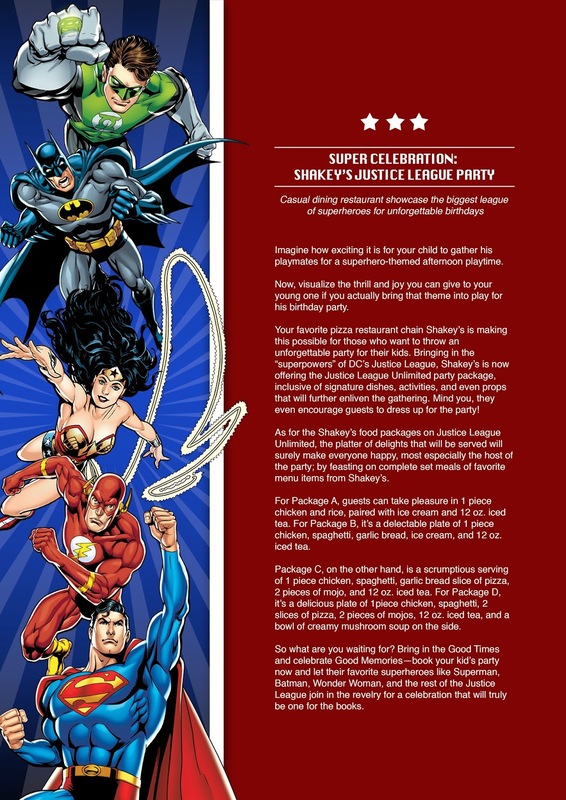 Your favorite pizza restaurant chain Shakey’s is making this possible for those who want to throw an unforgettable party for their kids. 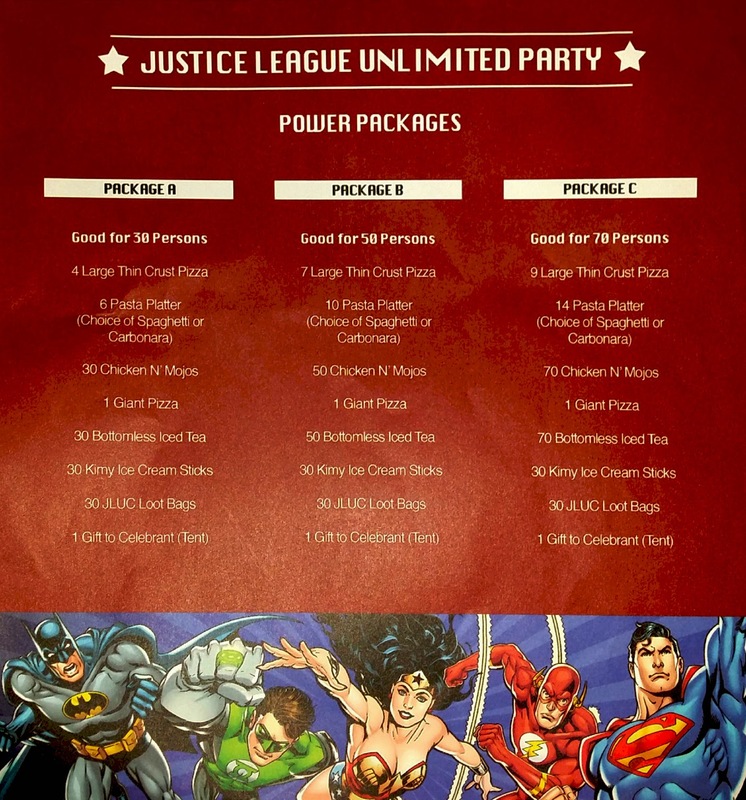 Bringing in the “superpowers” of DC’s Justice League, Shakey’s is now offering the Justice League Unlimited party package, inclusive of signature dishes, activities, and even props that will further enliven the gathering. 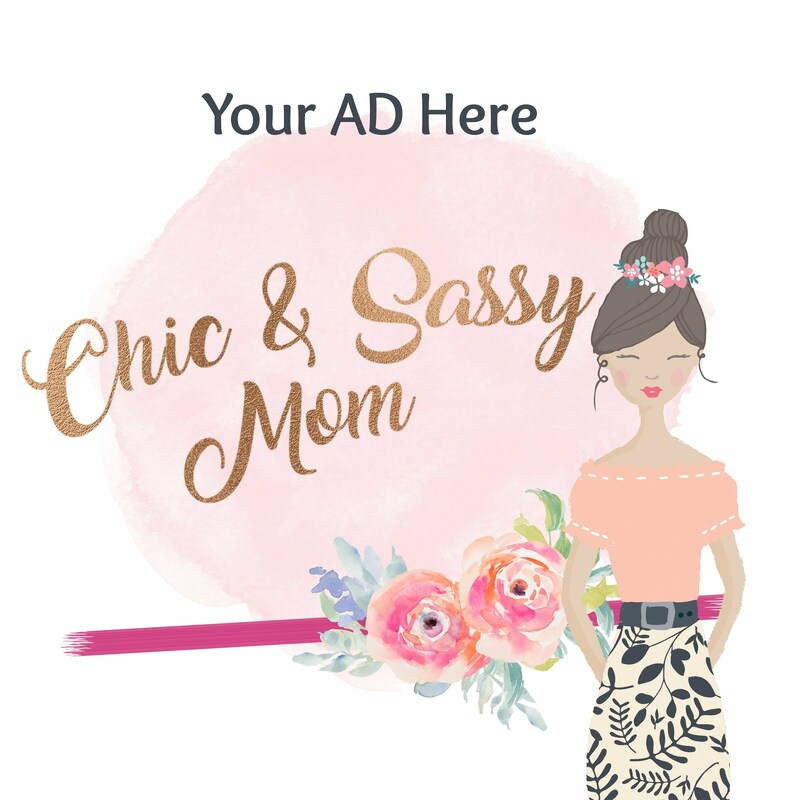 Mind you, they even encourage guests to dress up for the party! 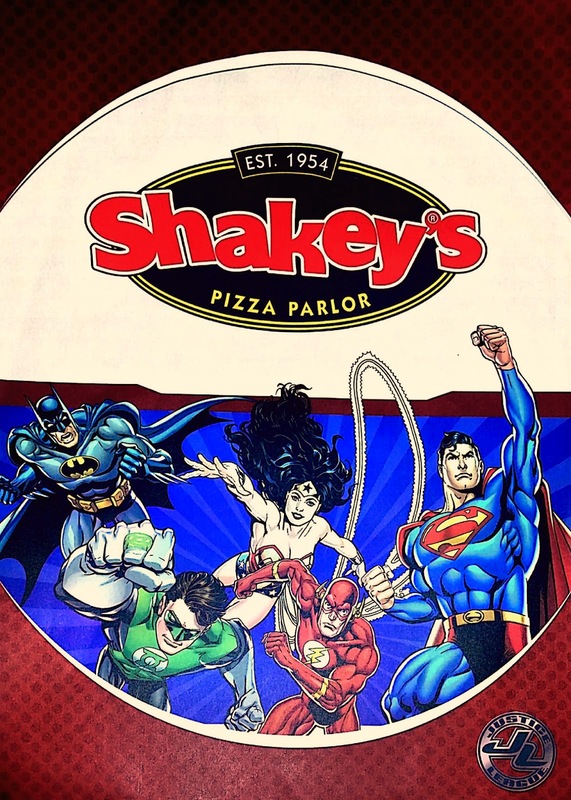 For more details, visit www.shakeyspizza.ph, or like Shakey's on Facebook. Hi. How much is the cost of your party and for how many persons? I'm planning to do my baby's 1st birthday at shakeys too. Thank you.